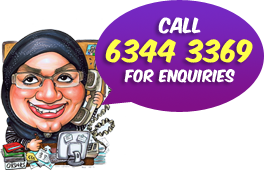 A lovely wife would like to have a caricature of her husband done for his birthday gift. He’s a runner! 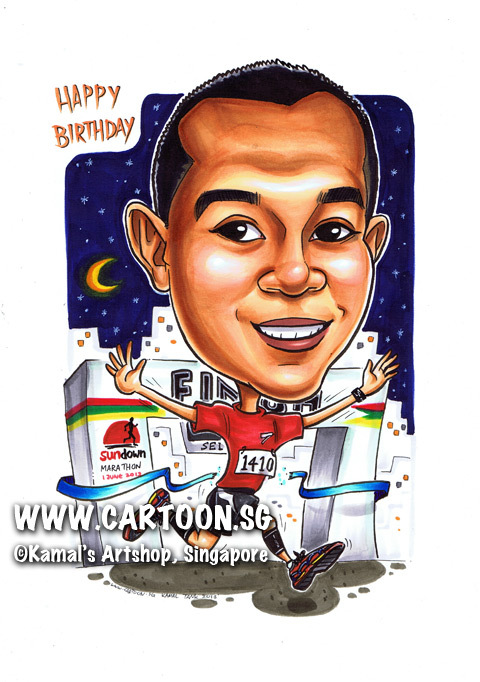 I would like to place an order for a single person caricature in A4 size with frame for my husband as a birthday gift. Attached below is the picture taken from one of his runs. I hope it’s sufficient for your artist. 1) I would like him to be depicted at the finishing line of the Sundown Marathon, which was on 1st June. That was his first night run and the longest he ever ran, 42 km. he started at 11.30pm and competed the run at about dawn. 2) I would also like the number ‘1410’ to be on his runner’s tag as that is his date and month of birth. 3) if possible, the words ‘Happy Birthday’ to be incorporated in the drawing.